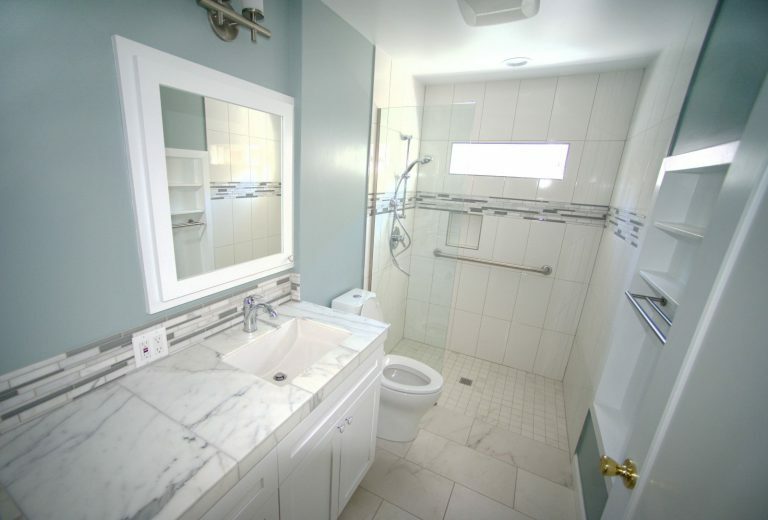 Tell our Portland bathroom remodeling contractors what you’d like to see, and we’ll help you design and build a bathroom worthy of the amount of time you spend in it. Your bathroom is the first place you go when you wake up and the last place you go before bed, but the design and layout isn’t always what you want. 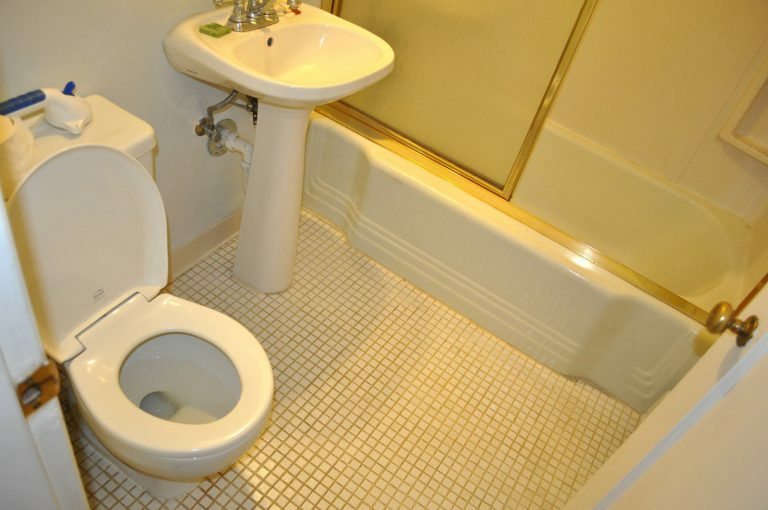 You may be missing some crucial amenities, or you may be wondering how to make a small bathroom look bigger. Whatever the case, our experienced bathroom designers can help. 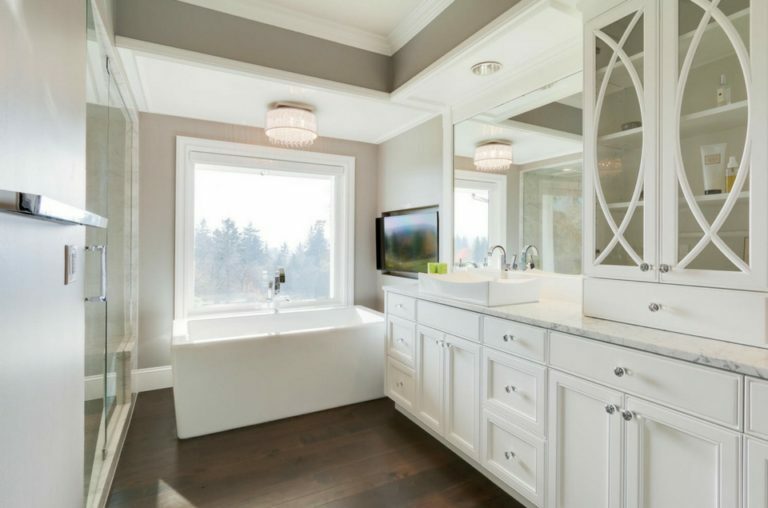 Our Portland bathroom designers have customized and remodeled hundreds of bathrooms in the past few years, and they’d be delighted to discuss your renovation. 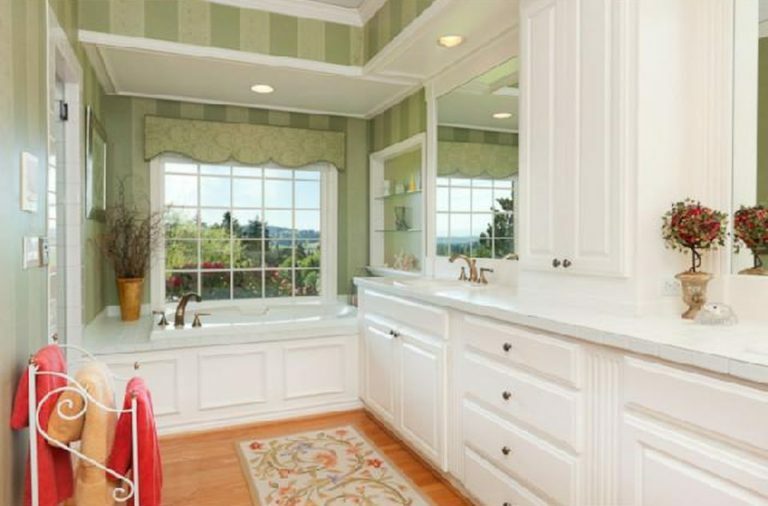 Your bathroom should fit your needs and lifestyle. 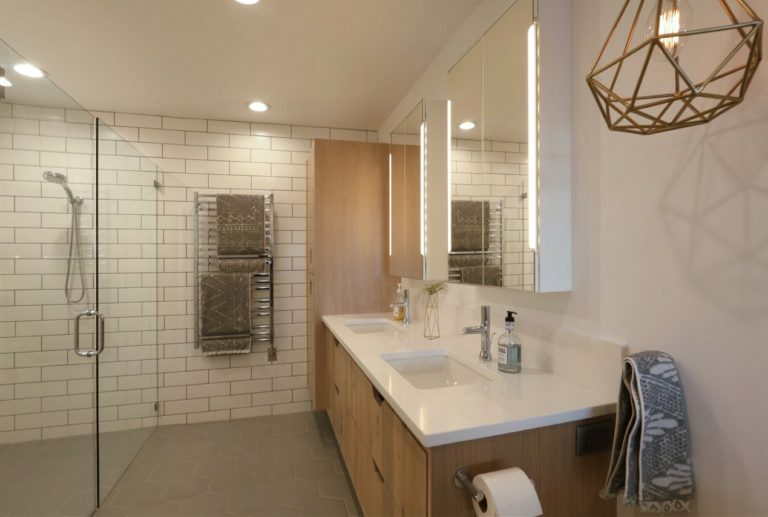 Check out our latest projects to see some of the beautiful bathroom designs, gorgeous color pallets, new flooring, renovated vanities, and more that we’ve done for different projects. Then, contact us to share your ideas and ask about your bathroom remodel. Give your bathroom a facelift to brighten up the space and make it both functional and beautiful. This type of bathroom remodel is a great for changing all of your bathroom surfaces while still keeping to your budget by picking cost-effective tile, flooring, and vanity materials. If you’re looking to completely change or expand your bathroom, or even build a custom spa, this is the type of budget to expect. 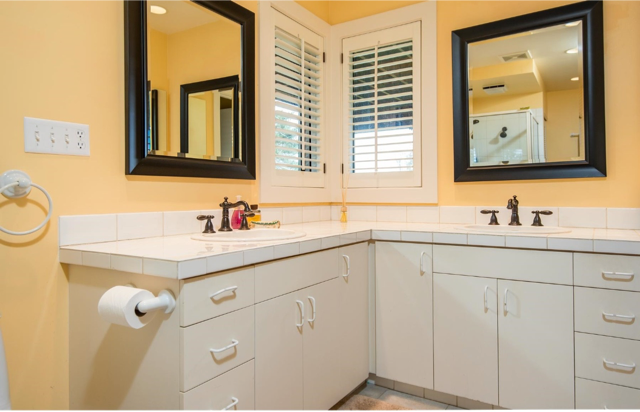 Both bathrooms pictured above are good examples of what you can build in this budget range. Plastic walls to contain dust in one area, protective plastic on any area as needed to protect floors, walls, valuables, furniture, and more from dust. Special dust collection/removal system to minimize dust and smell.